Call 0114 244 1814 and drive a van away today! At Sheffield Van hire we offer a range of high quality used vans from a wide range of manufacturers. Our friendly team will give you a truly personal service to help you find a used van perfectly suited to your needs as quickly as possible, without the hassle. Why choose Sheffield Van Hire? 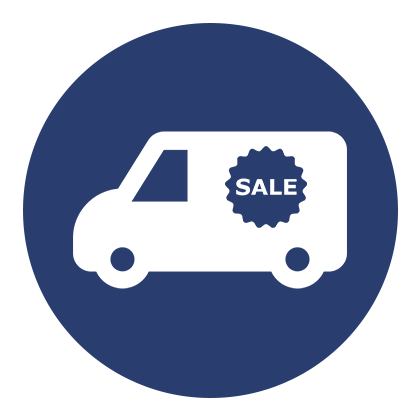 We can help you spread the cost of your purchase and budget more easily with finance available on request for van sales. Just speak to one of our friendly team and we’ll be happy to discuss your options with you to get you the most competitive finance deal available. If you know what you’re looking for and can’t find it, we can help. Just give one of our friendly team a quick call and we’ll take the stress and hassle out of finding the perfect van for you. Sheffield Van Hire are reliable, cheap and offer a great service. I needed a work van at very short notice as mine had broken down and they had me back on the road within the hour! I would definitely recommend them.